Composed by Kathleen Basi, “Keep Me Safe” is based on Psalm 16, though it is not meant as a psalm setting, but as a liturgical song. With its strong beat and syncopated hook, it is easy for assemblies to learn. 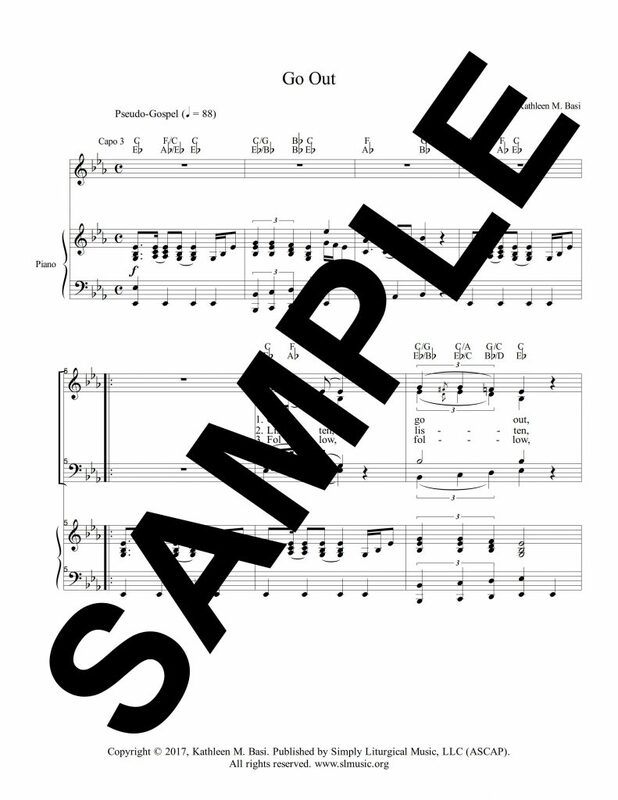 It is scored for guitars, keyboard, SATB and assembly and should be played with a strong rhythmic pulse, but without letting the tempo get too fast. 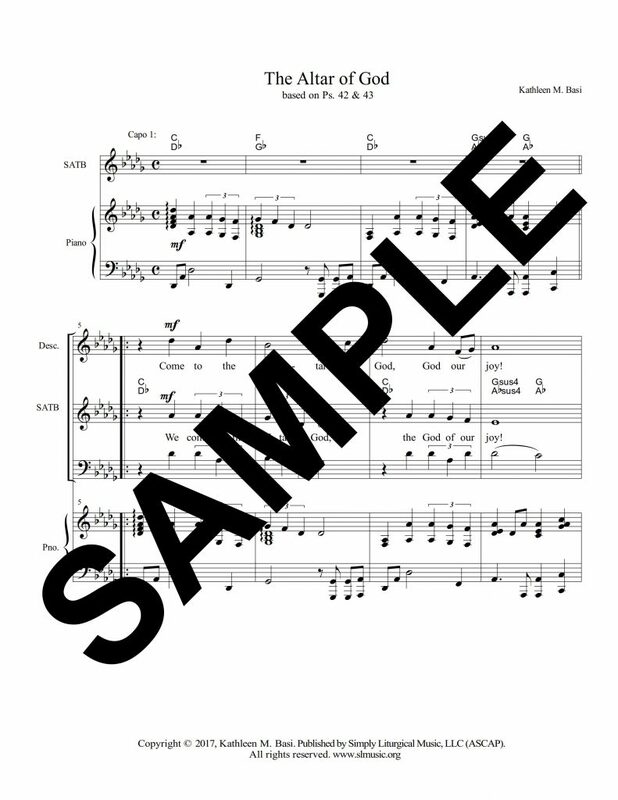 Composed by Kathleen Basi, “In the Palm of Your Hand” is a choral prelude or anthem based on Ps. 139. 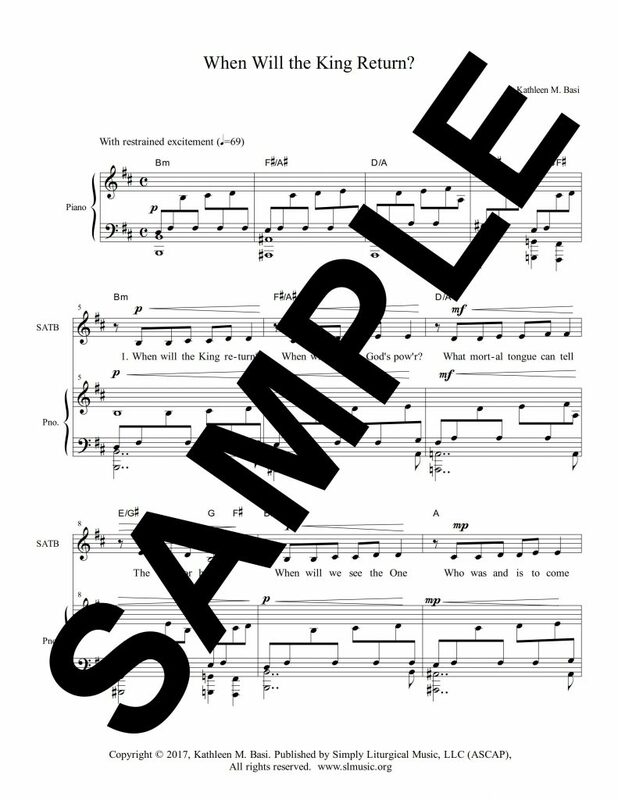 It is scored for SATB choir, piano, guitars, flute and clarinet. 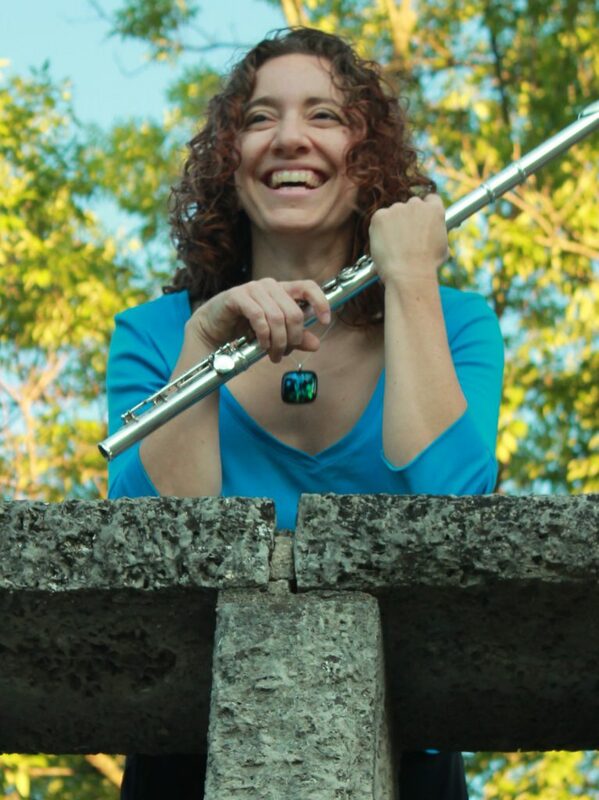 Composed by Kathleen Basi, “When Will the King Return” is a hauntingly prayerful Advent hymn which challenges worshipers to prepare for Christ’s second coming. 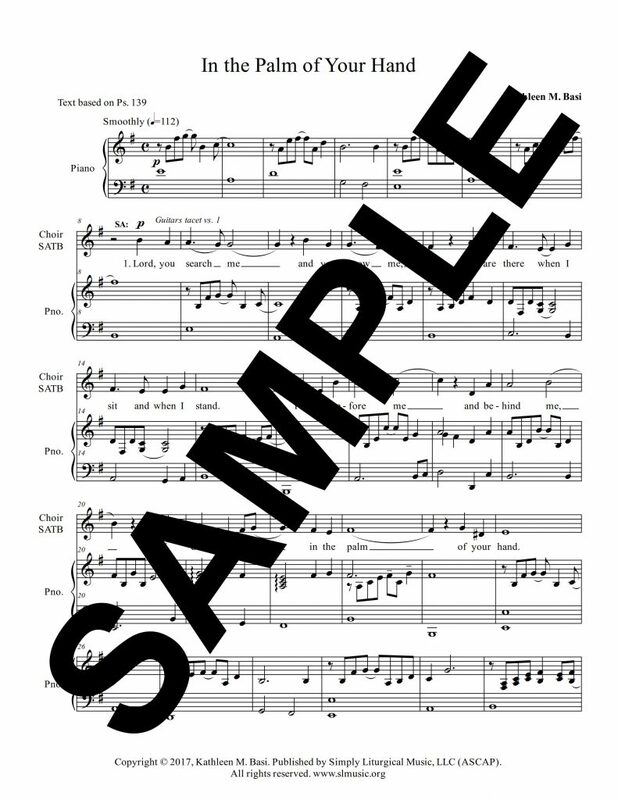 Beautifully written for a soloist and SATB choir, this hymn will set the Advent mood that the Church strives for during her preparation for the Christmas season. Composed by Kathleen Basi, “Go Out” is a lively recessional hymn for assembly and contemporary ensemble. It works well at any Mass in which the Gospel portrays healing miracles or develops themes of mission and discipleship. “Go Out” consists of short, catchy musical phrases that are easily picked up by assemblies, who might find it simpler to sing from words alone. It should be played and sung with strong rhythmic emphasis on the chord changes. Composed by Kathleen M. Basi, “Keep Me Safe” is based on Psalm 16, though it is not meant as a psalm setting, but as a liturgical song. With its strong beat and syncopated hook, it is easy for assemblies to learn. It is scored for guitars, keyboard, SATB and assembly and should be played with a strong rhythmic pulse, but without letting the tempo get too fast.